UA Heat Gear fabric with an ultra-soft, natural feel and unrivaled comfort. Unique Moisture Transport System wicks sweat away, while UA’s anti-odor technology prevents odor-causing microbes. Raglan sleeve construction and flatlock stitching. 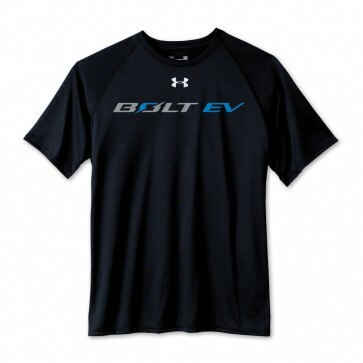 Bolt EV logo on center chest. Imported.